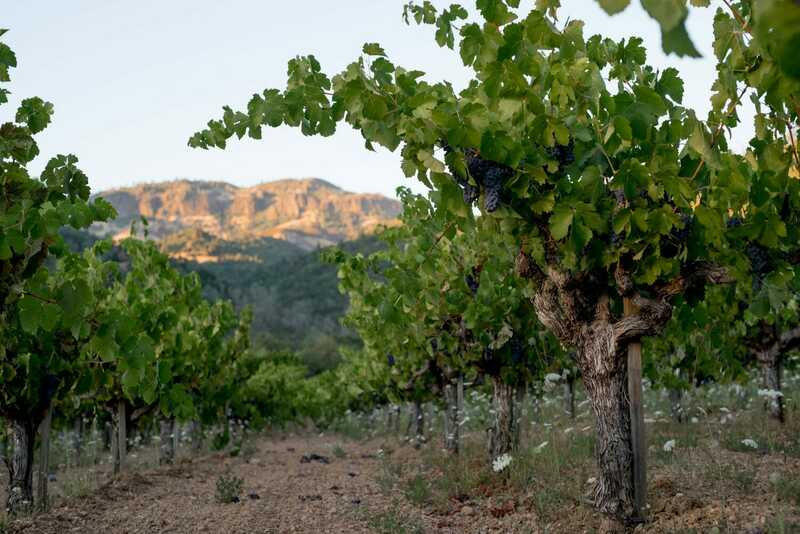 Rhone varietals thrive on the site of bonded winery #118, one of the earliest in Napa Valley. There are a handful of very coveted sites for Petite Sirah in the Napa Valley, and the Palisades Vineyard is one. It has a rich history of some of the highest scored “pets” as the old timers called these vines, in the last 50 years. Petite Sirah was first planted in the Palisades Vineyard in 1968, where grapes had been farmed since as early as 1878. Today, these old vines grafted on St. George rootstock are dry farmed – meaning without irrigation – and head pruned to give the fruit sufficient protection from the sun – a very different look and approach from trellising. Head pruning is especially relevant in this warmer private valley terroir. Because of the age of the vines and the farming, the crops are miniscule, and the wines are jet black, big and rich, and, to us, define world class Petite Sirah.